In Bollywood, star kids are born on a silver platter. If these kids have great looks and acting genes in them, they become hot property for filmmakers and producers. Success follows them, irrespective of their initial and repeated failures. Sonam Kapoor was born with a silver spoon. 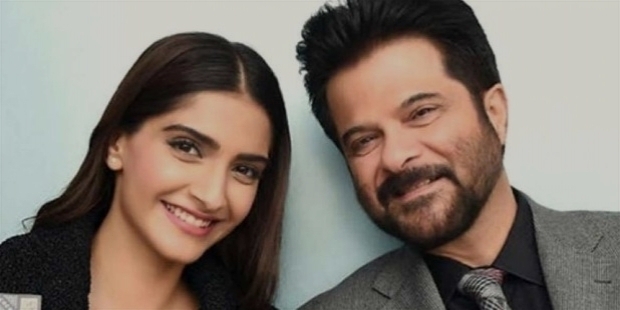 The genetic influence of successful actor-father Anil Kapoor combined with the gorgeous looks, infectious smile and acting histrionics – Sonam is a lethal combination of a perfect package. 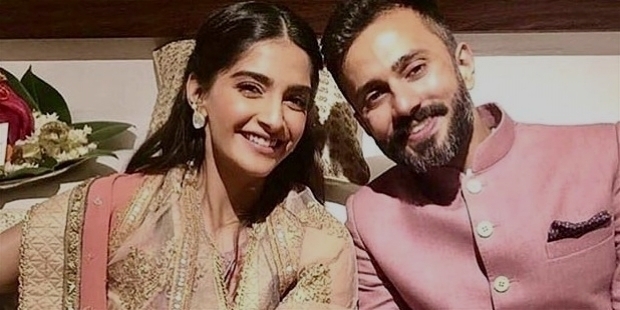 Sonam’s marriage with Delhi-based businessman Anand Ahuja on the 8th of May 2018 was celebrated by the near and dear ones like one has never seen before. The Sikh traditional pomp wedding was attended by the who’s who of the industry. It was a happy moment for the lovely parents Sunita and Anil Kapoor. Sonam and Anand have been dating for a while. Their marriage was being talked about. 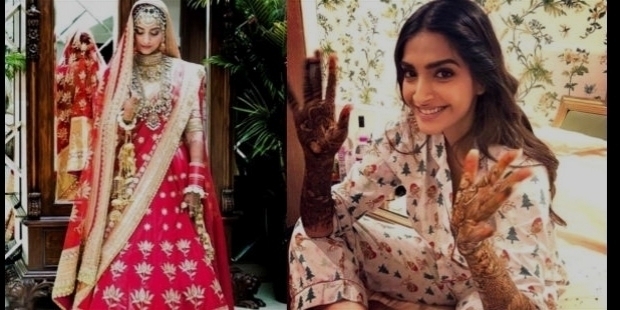 However, while the lovers always posted their photographs on social media, Sonam has never talked about her personal relationships in the media. Like a true professional, she had maintained her dignity and stance for her personal space. Sonam Kapoor was born on the 9th of June 1985 in Chembur, Mumbai. Like all star kids, her childhood days were full of fun and mischievous. To be born in a successful affluent family of the Kapoors, Sonam has truly made the family proud as an actress. Her grandfather Surinder Kapoor had established ‘Anil Kapoor Films Company’. Sonam is the eldest among the three children. Younger sister Rhea is a film producer. Brother Harshvardhan is an actor like Sonam. Sonam studied in Arya Vidya Mandir School in Juhu, Mumbai. She is believed to be good in sports, music and dances. She studied theatre and arts at the United World College of South East Asia in Singapore. Sonam’s early ambition was to become a writer and director. She made her professional journey in Bollywood as Sanjay Leela Bhansali’s first-assistant. The film was ‘Black’. In Bollywood, star kids have great advantages to have successful parents. And if you have good looks, making an entry into the celluloid world is a cakewalk. Bhansali was keen to launch Anil Kapoor’s beautiful daughter as the lead in his ‘Saawariya’. As reported, Sonam was on the heavier side, standing 80-kg on the scale. Bhansali asked her to lose weight. It took Sonam two years of hard work. The transformation from the 80-kg plump to a slender-looking 55-kg beauty, Sonam was ready to test the waters of celluloid. Sonam was paired opposite another star kid Ranbir Kapoor. ‘Saawariya’ was one of the biggest disasters of 2007 for Bhansali and the two poor star kids’ debutantes – Sonam and Ranbir. However, the flop movie did show promise on Sonam’s career. She was raw in her first film. She got her first Filmfare Award in the ‘Best Female Debutante’. In 2009, she was paired opposite Abhishek Bachchan in ‘Delhi-6’. The film flopped at the box office. Sonam made her strong presence felt, in spite of the film’s failure. With two flop films in her kitty, Sonam was seen in ‘I Hate Luv Storys’ in 2010. The film was Sonam’s first taste of success. As an actress, she proved she was destined for bigger success. Life of an actor swings like a pendulum. Success and failure follow hand in hand. Barely a few noteworthy films in Bollywood succeed to become super-hits, as majority of them are not even worth mentioning for their failures. In 2010, Sonam was seen in ‘Aisha’, which was produced by her younger sister Rhea. The film was below average. A string of flops were lined-up for Sonam. ‘Thank You’ in 2011 was a miserable flop, followed by ‘Mausam’. In 2012, Sonam was seen in ‘Players’. The movie was one of Sonam’s biggest mistakes of her career. In the last five years, Sonam had the only success in ‘I Hate Luv Storys’ and six flopped movies in her portfolio. Like all star kids, she kept getting offers in spite of her failures. 2013 was Sonam’s year! She gave a stellar performance in ‘Raanjhanaa’. The film was a big hit. She had stated in one of her interviews, “I have always tried to do different films and I try to be different for every character. I like doing different things to challenge myself in every way and do not like to repeat myself.” She was nominated for the first time in the ‘Best Actress’ category in Filmfare Award. Sonam made a brief appearance in the hit film ‘Bhaag Milkha Bhaag’ in 2013. In 2014, Sonam was seen in another flop movie, titled ‘Bewakoofiyan’. Her next venture was ‘Khoobsurat’, which was a hit film. Once again, Sonam was nominated in the ‘Best Actress’ category at the Filmfare Award. It was reported in media that Sonam met Sahir Berry, an entrepreneur-model, on a social media network. The two were reported to have a romantic relationship. However, love broke its wings, even before the final takeoff. Flop films seemed to have become a regular feature in Sonam’s career. 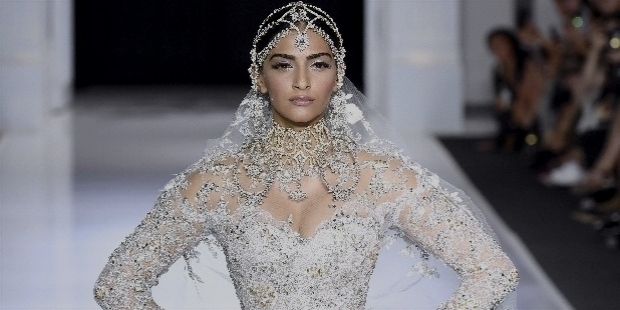 In 2015, for her performance in ‘Dolly Ki Doli’, Sonam received heavy brickbats for her performance. One wonders, how she received Filmfare Award nomination in the ‘Best Actress’ category. 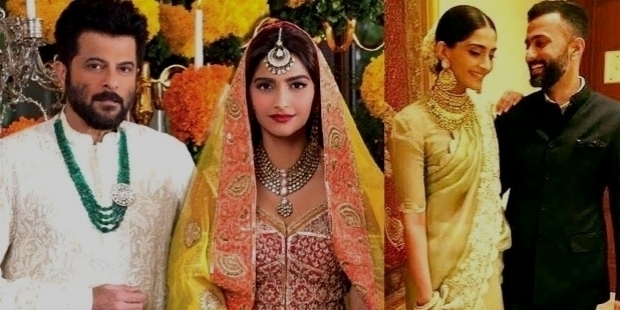 In 2015, Sonam was seen romancing Salman Khan in ‘Prem Ratan Dhan Payo’. The film was a big hit, courtesy Salman Khan. Praises for Sonam’s performance were showered by one and all. “Prem Ratan Dhan Payo’ will always remain the biggest hit in Sonam’s career. Sonam was seen as ‘Neerja’ in 2016. She portrayed the character to a perfect ‘T’. The film was a big hit worldwide. Finally, Sonam was admired as a stellar performer. ‘Neerja’ lifted her sagging career to a new height. She went onto win Filmfare Critics Award for the ‘Best Actress’. Sonam Kapoor received her first National Award – Special Mention from President Pranab Mukherjee for ‘Neerja’. The film will always hold a very special place in Sonam’s heart, career and life. Perseverance is the key to success. Sonam knows exactly how it feels to finally arrive at the big stage and among the top bracket of actors. After ‘Neerja’, Sonam made her presence felt at the Cannes Film Festival in 2016. She took a backseat in her career for a while. In 2018, Sonam was seen in ‘Padman’. She played a consequential role in the film. She gave a fine performance to portray her character as a social worker. The film was a big hit. Sonam will be seen next in ‘Veere Di Wedding’. ‘Sanju’ and ‘Ek Ladki Ko Dekha Toh Aisa Laga’ are the two films, Sonam is completing at the moment. Sonam gives back to the society through her philanthropic works. As the brand ambassador of ‘Elle Breast Cancer Campaign, she actively involves self to generate awareness among women. Bold and outspoken, Sonam is vocal about LGBT rights in India.